The word out of the General Managers meetings in Orlando is the plan to expand the major league baseball playoffs to 10 teams is moving full speed ahead. According to numerous reports, Commissioner Bud Selig, who has been pushing the proposal with a heavy hand, intends to finalize a recommendation after convening his special committee at the winter meetings in December. Ultimately, any plan would have to be approved by both the owners and players before being implemented, but the early signs point toward acceptance from both. The initial negative reaction to expanding the post season centers on potential damage to the integrity of the regular season as well as the possible dilution of the playoffs by permitting lesser teams to participate. Both of those concerns are certainly valid, but don’t they exist under the current system anyway? Beeston’s fatalist attitude isn’t exactly what you’d like to hear from one of the lords of the game, but does he have a point? The two charts above display the actual wild card winner and what would have been the second wild card in each league since 1996 (the first 162-game season of divisional play). As you can see, the wild card really hasn’t diluted the post season in the American League, as evidenced by the average and median wild card record of 95-67. Adding a fifth team, however, would include a participant with an average and median record of 89-73, which doesn’t look as good. Then again, the National League wild card really hasn’t been much better. While a potential second NL wild card would also have posted an average record of 89-73, the wild card team already in place has only been two games better. The first question to consider is why has the American League wild card been so strong (the answer to which may also explain why the league as a whole has been vastly superior over the past decade)? Of the 15 American League wild cards, 11 have come from the East division, and seven of those teams finished second to the Yankees. What appears to be happening is a sort of Yankee-effect in which American Leagues teams, particularly those in the East, have been forced to improve their organization-wide efficiency in an attempt to keep up with the growing dominance of the pinstripes. Nowhere has this been more evident than in Boston, which has won almost half of the American League wild cards. It is notable that the potential second wild card team in each league would have had essentially the same record over the past 15 seasons. What this suggests is that regardless of the fluctuations in league quality, 89 wins will probably be the average total for a second wild card. Of course, with the incentive of an added playoff spot, it remains to be seen what impact that will have on team records. Will fewer teams be willing to make mid-season trades, thereby lessening the ability of the elite clubs to strengthen themselves down the stretch? If so, the overall records of all playoff teams could suffer. Or, will the middling clubs all bolster themselves and, in the process, define the middle up at the expense of a much softer underbelly? It seems as if the impact could go either way. Normally, the idea of diluting the regular season would be abhorrent to me. After all, baseball’s heart and soul is its 162-game marathon, and not the one-month sprint conducted in October. However, based on the information above, I am not sure there would be much of a dilution, at least not much greater than what exists now. In fact, if constructed with just a little bit of common sense, an extra wild card might actually return integrity back to the regular season. If the eventual proposal advanced by the Commissioner’s special committee serves the purpose of placing both wild cards at a disadvantage, then it would actual once again place great importance on winning a division title. 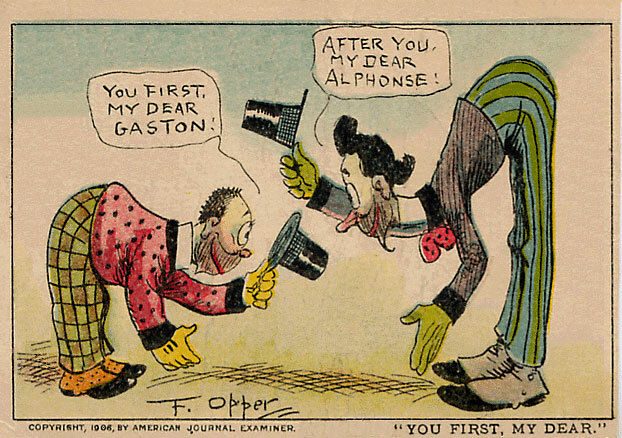 In this year’s AL East “race”, the Rays and Yankees, both of whom were assured a playoff spot, made a mockery of the regular season by playing the last month like Alphonse and Gaston. Under a proposal in which the two wild cards would first have to hash it out in a short series, teams would no longer treat September with such indifference. Ultimately, that would serve the purpose of increasing the relevance of the regular season without diluting the playoffs, especially if the American League’s superior wild card environment was to normalize more along the lines of the National League. As a purist, accepting expanded playoffs may just be another example of losing a battle to win the war. That same philosophy has been used by teams to eschew division titles when they had the safety of the wild card as a back-up. Because it’s become so prevalent, baseball might as well put that Machiavellian strategy to good use. The current wild card system has often replaced pennant races with an "I don't want it, you take it" attitude. off topic… what do you think of the supposed offer the yanks are making to jeter, 3 years $45mil? if they do settle on 3 or 4 years, do you think he’ll be the shortstop through the contract? if not, where would he move, to 3b and arod to dh possibly? or to LF? ESPN had 3 years/$63 million, yesterday, which is very generous. Regardless of term of contract, I’d leave him at SS as long as the Yankees don’t have a better player to take his place. His value is based entirely on providing offense as a SS. Moving him to 3B or LF really wouldn’t be a big help unless he was able to play those positions at very high levels. I wouldn’t expect Jeter to move off SS for 2 years the earliest, but more likely three. By the end of his contract, he could be more of a utility-type player because I don’t see him playing full-time at another position other than SS.